ITV has announced it is cutting 600 jobs across its businesses, and plans to make other "significant" savings. The announcement came as ITV reported a loss of £2.7bn for 2008 after a huge write-down in the value of its assets. About 150 of the jobs will be lost in Leeds, while several hundred are expected to go in London. ITV, which has been hit by a sharp drop in advertising revenue, also said it planned to sell the social networking site Friends Reunited. In Leeds, ITV is closing its Kirkstall Road studio, which makes programmes such as Heartbeat and The Royal. Emmerdale will continue to be filmed in Yorkshire. However, Emmerdale actor Chris Chittell said the cutbacks were a "dreadful state of affairs". A large percentage of the job cuts in London will be "back office" jobs, according to the BBC's media correspondent, Torin Douglas. Excluding the write-down in the value of its broadcasting and online assets, Britain's biggest commercial broadcaster reported a profit of £167m, down 41% on 2007. A large part of ITV's planned savings will come through cuts to its £1bn programme budget. It will be reduced by £65m this year. Chairman Michael Grade said: "Current conditions in the advertising market are the most challenging I have experienced in over 30 years in UK broadcasting." Advertising on its flagship ITV1 channel fell by 8% to £1,127m in 2008. The company estimates its net advertising revenue for the first quarter of 2009 will be down by about 17% on the same period last year. Mr Grade also pointed to some progress the business had made. ITV's share of the audience remained stable in 2008 at 23.2%. Its share of the advertising market also rose slightly, to 43.8%. Advertising on its digital channels also grew, by 16% to £242m. Considering options for its SDN business, which leases space on Freeview. 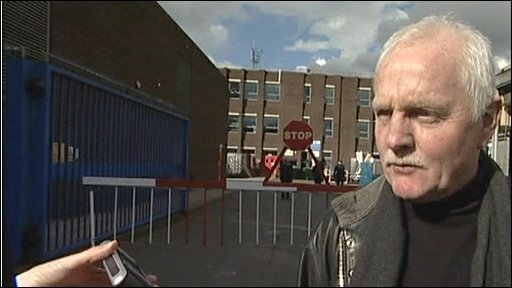 Gerry Morrissey, general secretary of broadcasting union Bectu, rebutted ITV's claims that the cutbacks were as a result of the economic downturn. "This is because of the mismanagement of ITV and has been going on for longer than the current credit crunch," he said. He claimed that the group's management had been more interested in looking after shareholders and senior management, rather than staff and viewers. He also accused ITV of giving up on its public service broadcasting remit after the broadcaster said it was going to move more towards popular entertainment programmes. The broadcaster said that the targets it had set in 2007 were "no longer appropriate". The targets had assumed growth in UK television advertising, but there had since been an "unprecedented deterioration in the global economic outlook", the broadcaster said. But the BBC's media correspondent Torin Douglas said the rise in online advertising had also been a factor. "The internet has broken the traditional TV advertising model," he said. ITV now plans to deliver annual savings of £155m in 2009, rising to £245m in 2011. However, Mr Grade insisted that ITV's targeted audience share would remain unchanged. In 2008, ITV1 achieved an audience share of 17.2%, down from 17.9% in 2007. ITV's digital channels accounted for 4.8% of total viewing share last year. ITV said it was difficult to predict its future revenues and warned that trading in 2009 remained uncertain. The broadcaster said it would not pay a dividend in 2009.